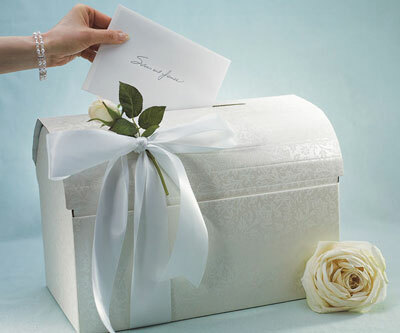 "While it was once considered in bad taste or even a wedding "faux pas" to give money as a wedding gift, monetary gifts are quickly becoming the present of choice for most newlyweds.".. With money, cheques or gift cards quickly replacing the traditional gift, the question of safe storage for these "special" envelopes arises. 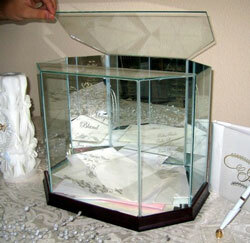 Originally, one person would be designated to collect all the envelopes and hold on to them for the duration of the event. However, burdening someone with this responsibility for the day is not always easy; so, a change in how these envelopes are collected and stored has resulted. The money box is born! 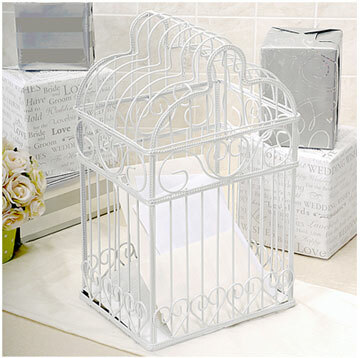 A money or card box is really quite self explanatory. 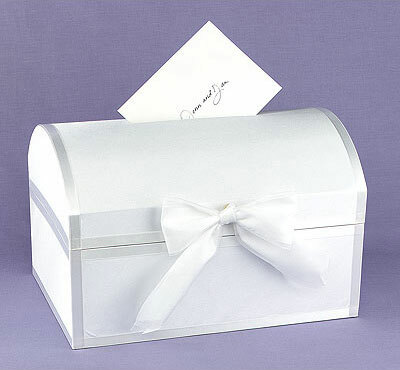 It is a box that houses all the gift envelopes. What it looks like is completely up to you. 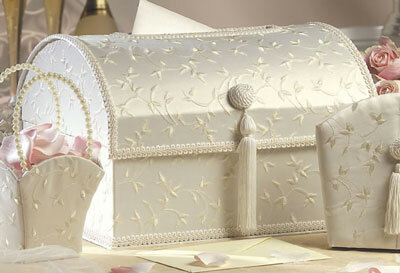 Money boxes range in types from the simple and disposable to the more intricate, that often double as keepsakes. Many even have a lock and key option for added security! As with their design, the box sizes vary too. 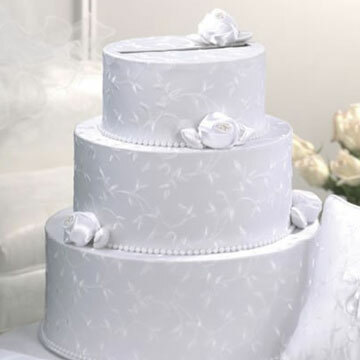 Some are as small as a tissue box while others are often as big as the cake itself! Somewhere in between these two extremes is the norm, depending greatly of course on the size of the wedding and on how many envelopes you think you will receive. We have tried to focus on designs readily available in Canada, but have also included some noteworthy examples from international stores and websites. 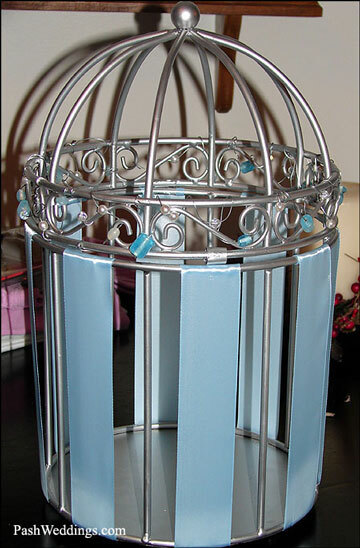 You can usually order from there or show the photo to any Canadian wedding supplies vendor who will source it out for you or custom make one. 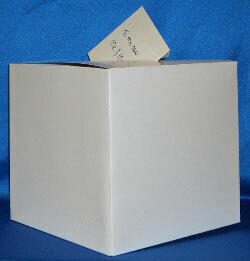 A cardboard box with a slit at the top or on one side. 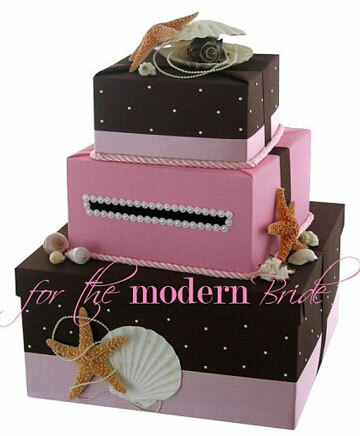 It can be decorated any way you like..
A visually interesting alternative. But perhaps a bit too "open" - envelopes could fall out. Another interesting potential DIY project? Designs by Anita (Toronto - ships nationwide?) 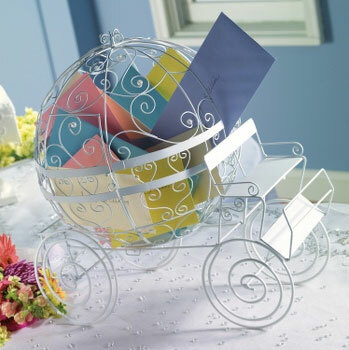 and..
A wonderful wedding keepsake idea. Order them online or have one made by any local glass engraving shop. 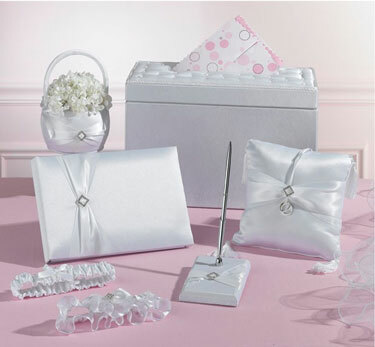 Choose a wedding card box to match your décor, to suit your budget or simply to have on hand in case you do receive gift envelopes. Either way, buy one, rent one... ... or make one! 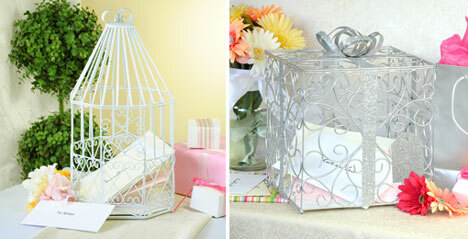 Go the do-it-yourself route and create your own container decorated in your personal style. Remember that these card boxes come in all shapes and sizes. Use your imagination to create one that will be both useful and memorable. 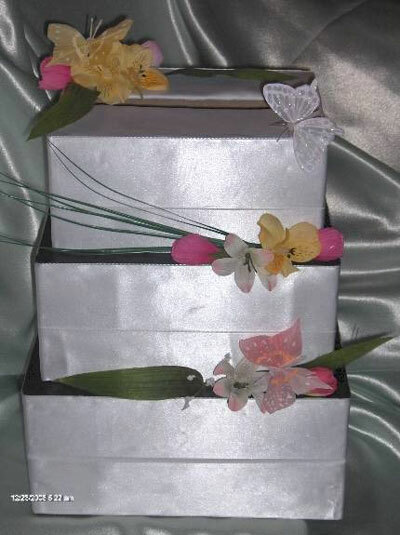 Or, one small box (with a slit at the top) painted, decorated, wrapped etc. according to your theme and personality. It looks like the following couple were raising money for their wedding in Las Vegas! Well, that is obviously always an option. 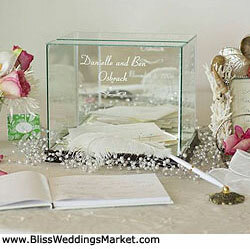 If you have something very particular in mind, you should talk to a local wedding decorator. 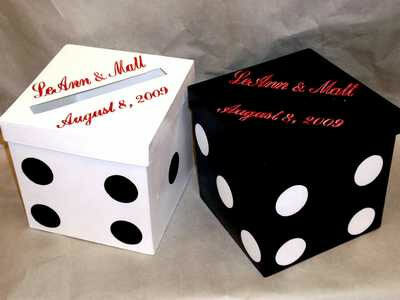 We know for certain that Creative Expressions Accessories in Hudson, QC offers a custom moneybox design option; beyond that.. you 'll have to make a few phone calls.. This is only one example of the many options available to you "second hand". 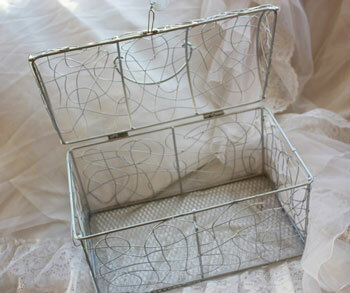 Great little "wire-cage" envelope box we found, for only $15, on Gettin' Hitched Gently Used Wedding Décor, a Vancouver-based store..
And why not?? How "used" can a money box possible be?! 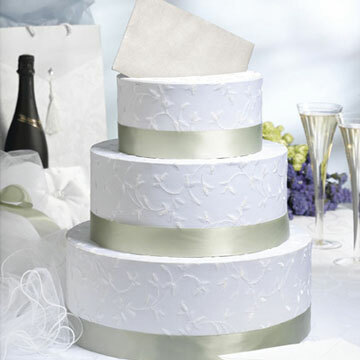 So, while you're researching options, drop by the wedding classifieds, buy & sell listings. 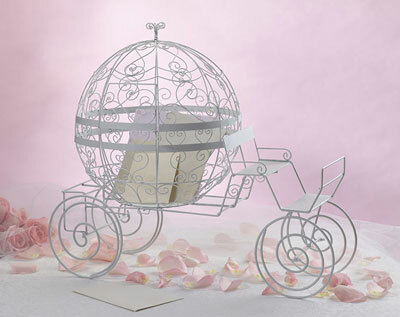 Thousands of people selling thousands of different wedding items, from all over Canada. If you 're patient and check back 3-4 times over a week or two, you are almost guaranteed to find something to suit your budget and style.. Note: Although most couples prefer receiving money as wedding gifts, it is usually not appropriate to actually ask for cash gifts.